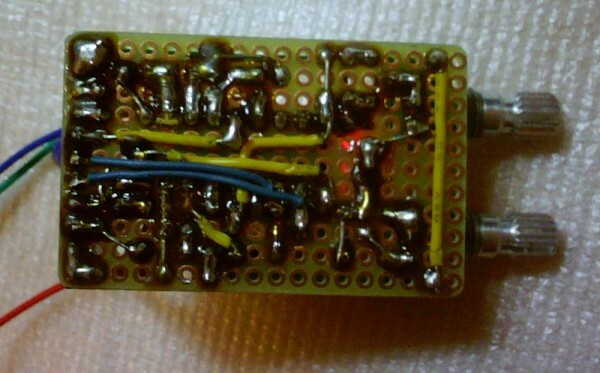 Base is 74HC4060 cmos ripple binary counter and some discrete parts. This is basic sequence and use manual speed knob. Basic sequence and manual set including switch. Basic sequence and simple modular wire on included photoresistor. Simple unstable setting - like "pseudorandom". Simple wire with capacitor - slow sequence like drone. Other sequence with two external led diodes wire. 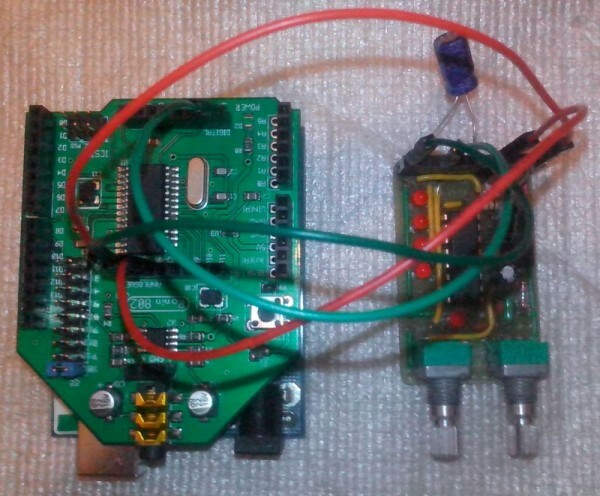 Simple melody with external capacitor and other audio output. some nice recordings, can you provide a circuit please? 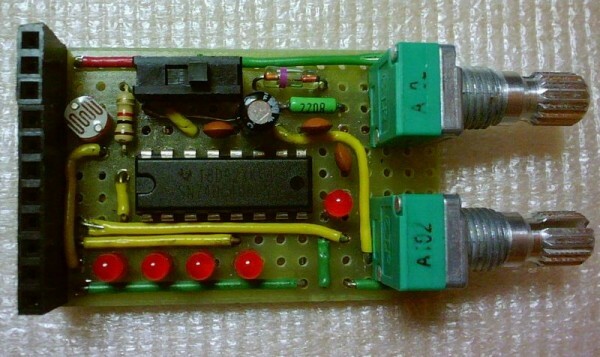 nice sounds for a one chip circuit, did you hide some parts on the other side of the board ? Only one side only one IC and few discrete parts Today some new examples and pictures. Scheme soon. Sequence with external 100uF capacitor and germanium diode. Sequence with external 100uF capacitor and germanium diode and photoresistor. Why old germanium diode ? Added some nice noise. 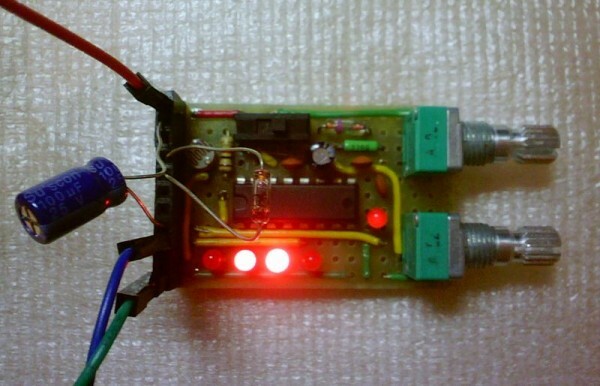 Sequence with external 100uF capacitor and germanium diode and one external led diode. Great stuff. That last one, sequence with external 100uF capacitor and germanium diode and one external led diode, has a lot of low frequencies. It nearly shakes my house down. i sitting 3 coffees and a half mixtape in front of my laptop now. the 1uF, the 2 10nF, the pots, the 220r and the diode a some kind of dutycycle osc (that is running on verry high freq). the unstable out is some kind of a rampsquremixout. iam right here? but what u can read from the LEDs? They just looking fine wile blinking or they for affecting the LDR? aha, you're putting extra components in the connector,. i didn't expect that. 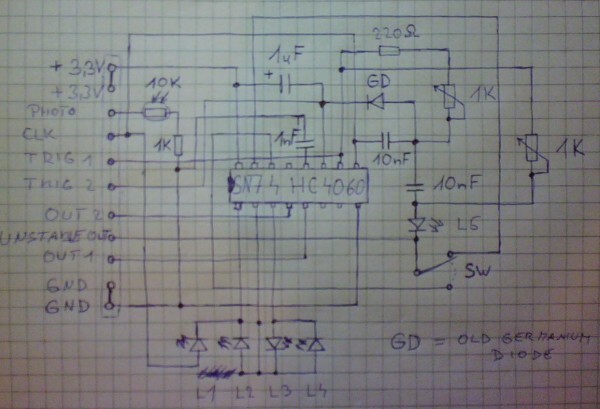 I've redrawn the schematic to see if I could make sense of it,. but I don't really know what's going on. I do wonder if it's correct, with the reset pin only tied with a cap to gnd,. I'd almost expect it to be connected between the 1K resistor and the LDR. And what's the reason for powering it with 3.3V (instead of 5V) are you using a computer PSU ? Many thanks for better scheme I checked it and well done. Yes capacitor 1nF between rst and gnd is true. 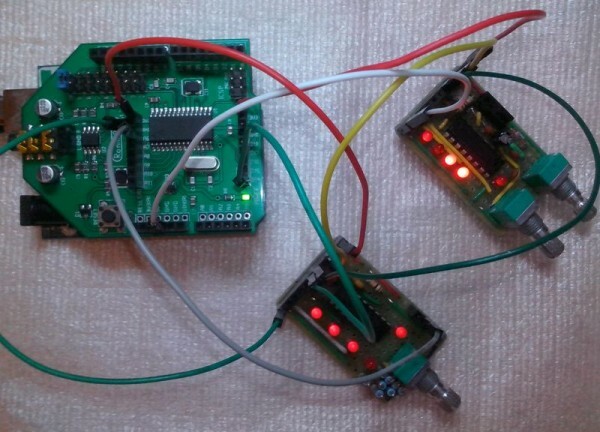 3,3V is for my other connection between 3,3V PSoC ,Parallax and FPGA micorcontrollers. Arduino Uno + Ronin synth shield + my 4060GEN. Simple sketch for Ronin - FM synth with external gate trigger and frequency modulation. Example 001 with external 100 uF capacitor for slow sequence. Examples 002 and 003 is fast without external capacitor. Arduino Uno + Ronin synth shield + my 4060GEN and my new 74595 shiftregister pseudo random sequencer.